WASHINGTON, DC – The immediate past chairman of the National Council of Textile Organizations (NCTO), Robert “Rob” H. Chapman, III, died August 23. He was 66. Chapman was the Chairman & CEO of Inman Mills, a yarn spinning and fabric weaving company headquartered in Inman, South Carolina. “On behalf of the U.S. textile industry, NCTO extends its deepest sympathies to the Chapman family and everyone at Inman Mills,” said NCTO President & CEO Auggie Tantillo. “Rob’s legacy is immense. In the last two decades, globalization, particularly the entry of China into the World Trade Organization, triggered the most disruptive change ever experienced by the U.S. textile industry. When other companies were going out of business, Inman Mills responded with a strategy of innovation, reinvestment and a willingness to adapt. 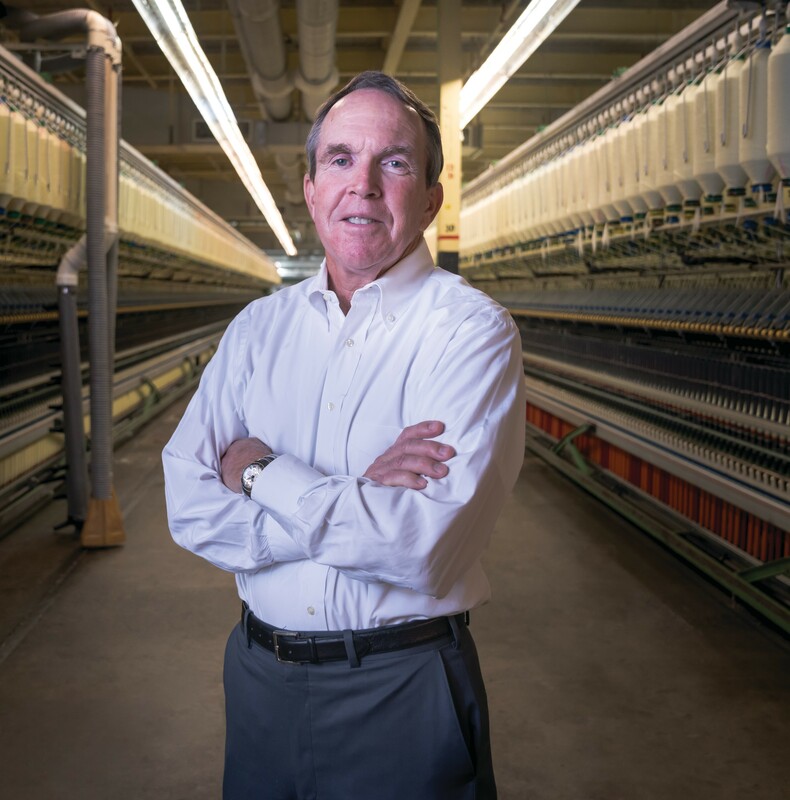 Today, thanks to Rob’s dedication and foresight, Inman Mills is one of the shining lights in the renaissance of the U.S. textile industry,” Tantillo continued. “Rob was also leader in crafting the U.S. textile industry’s Washington, D.C.-based policy response to globalization. It speaks volumes that Rob’s peers chose him to lead NCTO in 2016-2017 when debate on the now failed Trans-Pacific Partnership (TPP), the biggest challenge to the U.S. textile industry since China’s 2001 entry into the WTO, was coming to a climax,” Tantillo added. “Finally, on a personal note, Rob was a close friend. He was a true gentleman, unfailingly courteous, loyal and generous. Soft spoken and quick to deflect credit to others, Rob was a fierce competitor, driven by the desire to help his community and industry. Most of all, Rob loved his family and his many associates at Inman. He dedicated his life to their well-being. If there ever was any doubt that builders can build faster than destroyers can destroy, Rob was living proof. He will be greatly missed, but his legacy will long endure,” Tantillo finished.